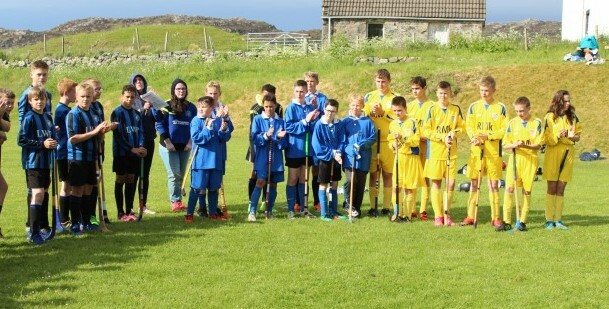 Saturday saw the Lewis Camanachd Under 14s participate in what is hoped to be an annual match on Shawbost pitch. 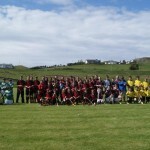 A 9 a side game was played between teams selected, in the traditional Lewis style, by Captain Harrison and Vice Captain Macdonald. The game finished 6-0 to the Vice captains team, although the scoreline did not reflect the flow of the game. Kieran Macdonald scored two well worked goals very late in the first half to give his Vice Captain team a 2-0 lead at half time. Harrison’s team however had a number of chances in the first half and early in the second half with only some great goalkeeping from Owen Mackenzie and misfortune denied them a goal. An unfortunate injury to Stewart Macritchie (who fought well for the captains team all game- earning him Man of the Match) disrupted the momentum of the game for the Captains team in the second half. 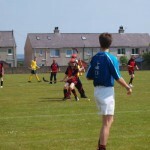 Kieran Macdonald went on to score a further 3 goals to take his personal total to 5 for the day (at this point Kieran took a turn in goals and made a wonderful save to deny Dylan Murray). 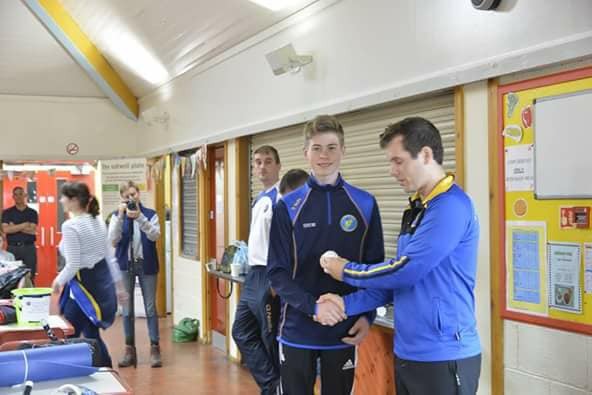 Callum Macritchie who won the battle of the midfield for the Vice captain team finished the scoring with a long range effort which evaded Conor Kearney in goals. 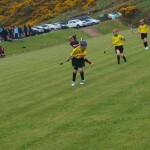 The game finished 6-0 and a great day of shinty was had by all on the Shawbost field. It certainly won’t be long, on the evidence of this game, before Kieran, Robert, Daniel and company will be playing the sport they love on the same pitch for the Senior team. Many thanks to Donald Lamont for refereeing the game, Jo Mitchell and the parents for organising the day (Including all the fantastic food) and Iain Sinclair for coaching the youngsters. 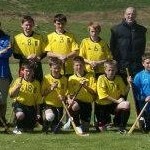 Lets hope Lewis Camanachd have many more successful youth days in the future. 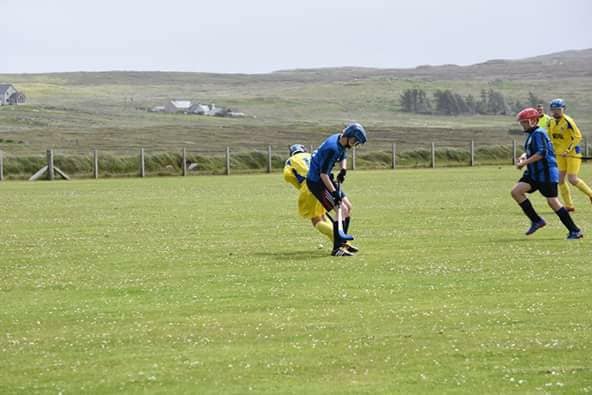 A veritable squadron of Leòdhasaich took to the Minch on Saturday 3 June to attend the Far North Sixes, run by Kinlochbervie. 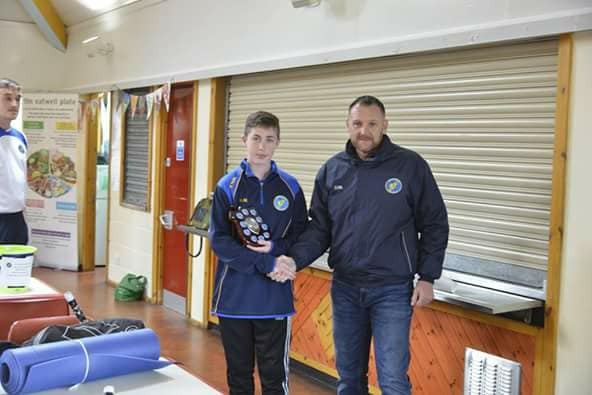 We had three teams in the Under 14 section – a very promising number adn they did themselves proud. 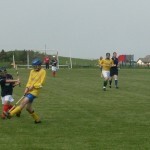 Glengarry A won the tournament but all our sides showed up well, scoring goals and winning games. 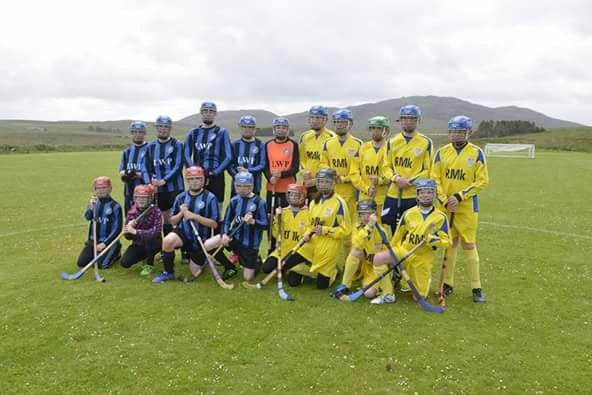 Camanachd Leòdhais Blues came out best of our squads, with four wins, and two defeats, coming third behind KLB Juniors on goal difference alone. 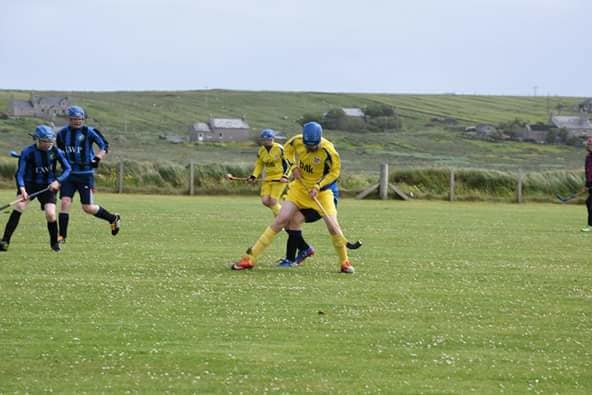 CL Blacks edge out Glengarry B for fifth place by virtue of scoring one goal more, whilst CL Yellows matched the Blacks’ scoring and defensive record but were unlucky to only yield 1 draw. A cracking day, thank you to all the parents and coaches for their support, and congratulations to Kinlochbervie on another successful tournament on their tenth anniversary. A revived Lochbroom saw off Lochcarron to win the senior section, which also featured KLB, Caithness and Strathglass Ladies. 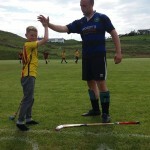 As we celebrate our own ten year anniversary, it’s a good time to pay tribute to a club we’ve had a long friendship with who are also marking ten years of driving shinty forward on the edge of the world – Kinlochbervie Camanachd. 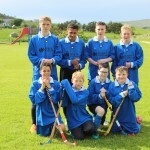 As part of Highland 2007 “The Highland Promise”, Kinlochbervie High School pupils voted to spend some of their funding allocation on learning shinty. 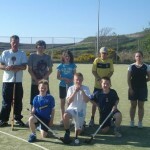 The inaugural training session took place in June 2007 with coaches Heather MacNeil, PE and parent Duncan Clark. The sessions were open to pupils from P5 to S6 and run on a weekly basis with an average of 30 pupils attending (a very large proportion of the school roll). Over ten years this club has kept on developing, with players graduating and some of them playing for other teams in the North (including the late lamented Lochbroom) as well as the abortive Naver Athletic team who made one short foray into the cups. 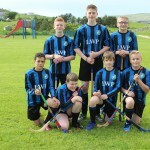 They have travelled all across the country to school tournaments, they were regular attendees at our much missed Mid-Minch Medal and won it all three times it was run in 2008, 2009 and 2010.and even took part in the 2011 Camanachd Association Development league against Uist and Strathspey, finishing third. 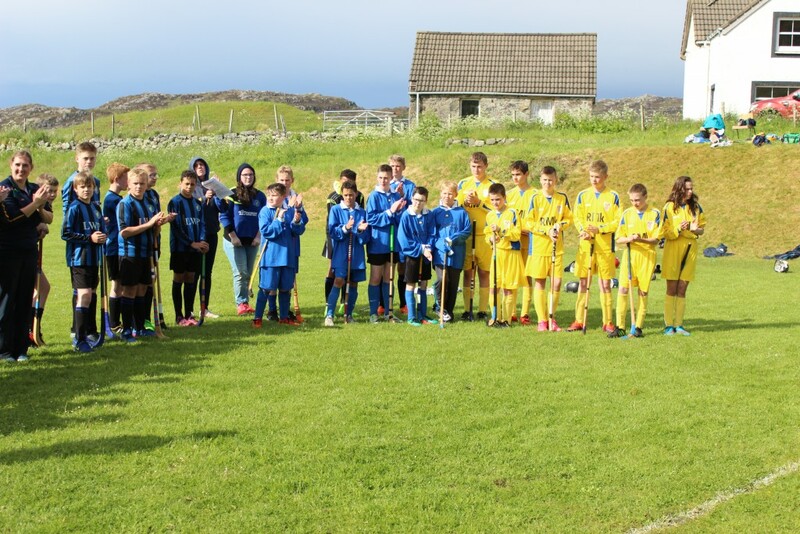 However their biggest event has always been the Far North Sixes, held in Scourie and running sections for adults and under 14s. 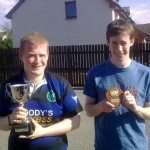 Camanachd Leòdhais first attended the Far North Sixes in 2010, taking two teams, and won it! It was a very important morale boost forr a club who up until that point had only experienced big defeats in the cups. With league entry, the next couple of years were taken up with getting the senior team settled in the leagues, but we sent a youth team in 2013, before sending a senior and youth side in 2014. We sent some fringe players in 2015 and 2016 bolstered by a couple of experienced players to help them gain experience. Three Camanachd Leòdhais players have won the player of the Tournament award – Scott Murray in 2010, Al Reed in 2015 and Steven Morrison in 2016. The Far North Sixes has always been an excellent event, and with the event marking ten years, and Duncan Clark bowing out as head coach, we can only pay tribute to himself, Paula, Heather and all the others involved with KLB and wish them every success in the future. 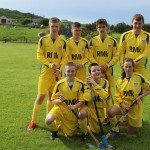 We are sending over three under 14 squads, with Camanachd Leòdhais Yellows, Blues and Blacks all looking to gain experience in what will hopefully be a great day weatherwise as it has been in the past. Gu math fada beò iomain ann an Dùthaich MhicAoidh!